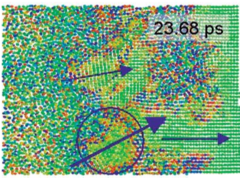 We have investigated the microstructural changes in ductile porous metals during high pressure-high strain rate loading employing atomistic simulations and explored their relation to recent experiments on polycrystalline copper samples. 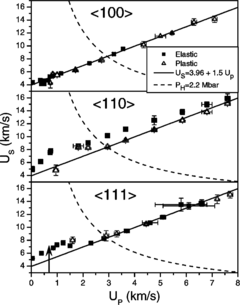 Molecular-dynamics simulations of shocks in porous, single-crystal samples show the formation of nanograins due to localized massive plastic deformation induced by the presence of voids. In the process of grain formation the individual voids serve as dislocation sources. The efficiency of these sources is further enhanced by their collective interaction which eventually leads to very high dislocation densities. In agreement with experimental studies, the simulations display a temporal delay of the particle velocity in comparison to perfectly crystalline samples. This delay increases with porosity. 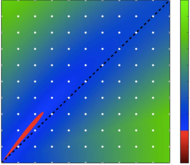 Our results point towards the importance of void-void interactions and collective effects during dynamic loading of porous materials.